It is official! 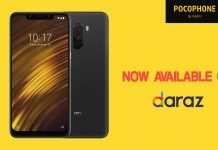 Xiaomi is launching their highly anticipated smartphone, the POCOPHONE F1 here in Nepal. The phone will make its official debut on November 11 exclusively on Daraz on their 11.11 Sale Day. As of right now, the phone is available for you to pre-book from Daraz’s official website. 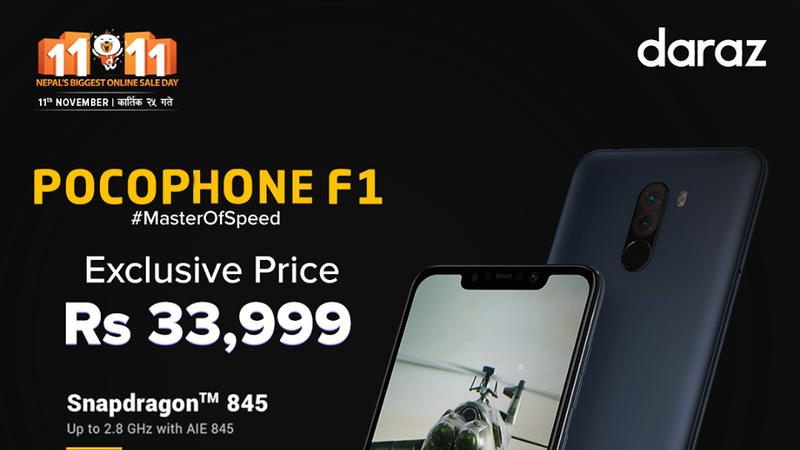 Hurry up, as the phone is available in limited stocks! But before you do that, here is everything you need to know about the phone. 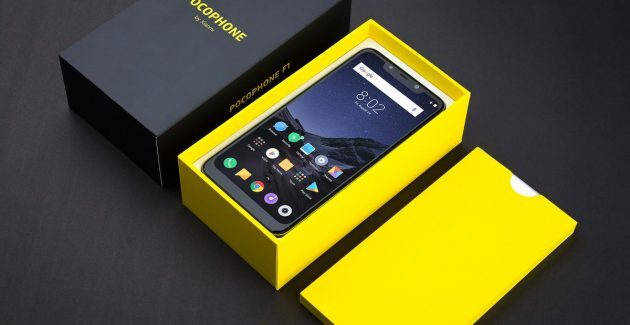 The POCOPHONE F1 packs a 6.18 inches Full HD IPS display with an 18.7:9 aspect ratio. The infamous notch makes an appearance residing in the top center of the display. And encasing the internals of the phone is a rather sturdy plastic body. 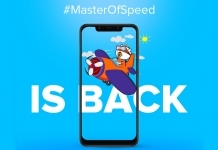 Under the hood, the F1 packs an octa-core Qualcomm SDM845 Snapdragon 845 processor along with the Adreno 630 GPU. 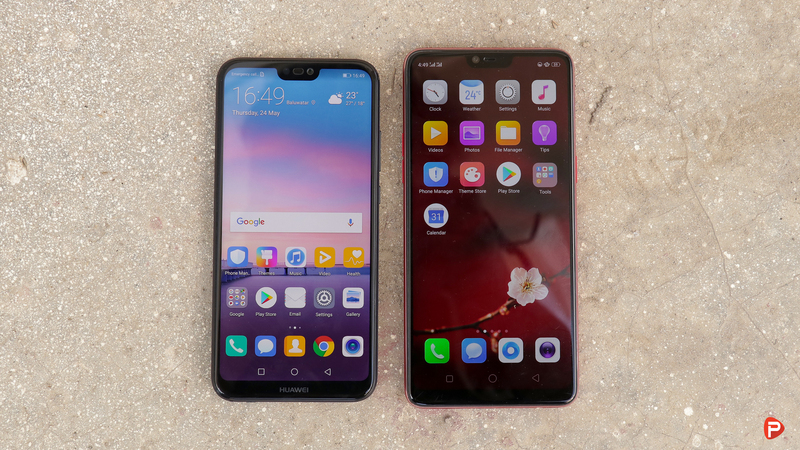 The SoC is backed by a whopping 6GB of RAM and 64GB of internal storage. The memory of the phone can be further expanded via a micro-sd card up to 256GB. 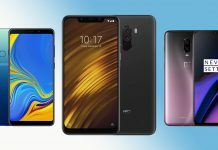 These combinations on a mid-tier smartphone are absolutely crazy! In the camera department, the POCOPHONE F1 packs a rear dual-camera set up made by an f/1.9 12MP and an f/2.0 5MP sensor. 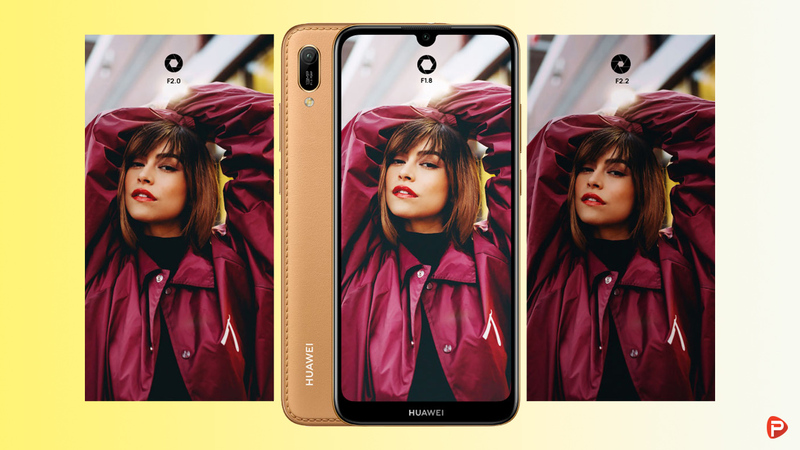 The phone also packs an f/2.0 20MP front-camera for all your social media ready selfies. And sitting just below the rear cameras is a fingerprint scanner embedded into the phone’s back panel. The F1 also comes with an Infrared face recognition system for added security. 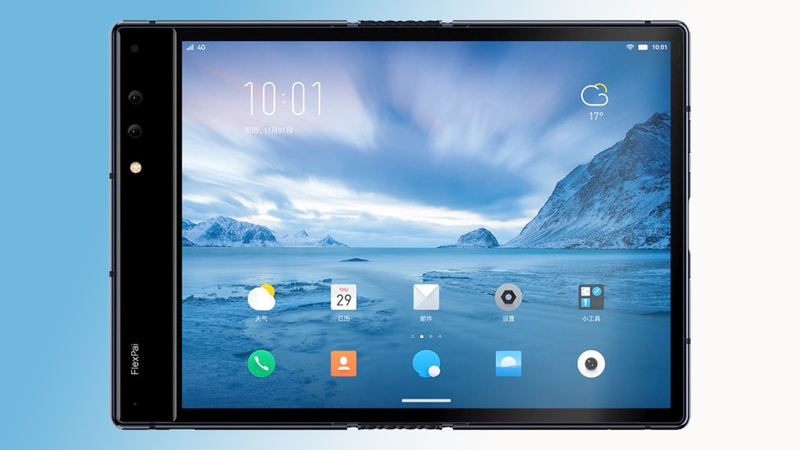 Moving on, at the software front, the F1 runs MIUI 10 with POCO launcher that is based on Android 8.1 Oreo. And finally powering the device all up is a 4000mAh non-user removable battery. This without a doubt will be enough to get users through a day of usage on a single charge. 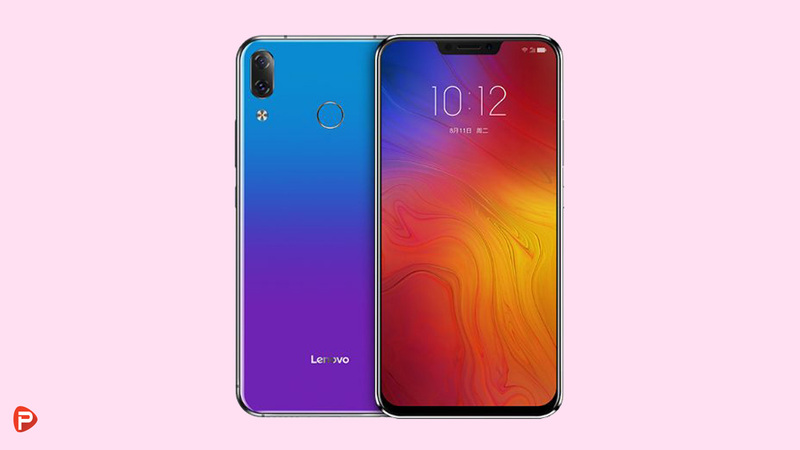 And if the battery does run out, there is the inclusion of USB Type-C connectivity and support for Qualcomm Quick Charge 3.0. 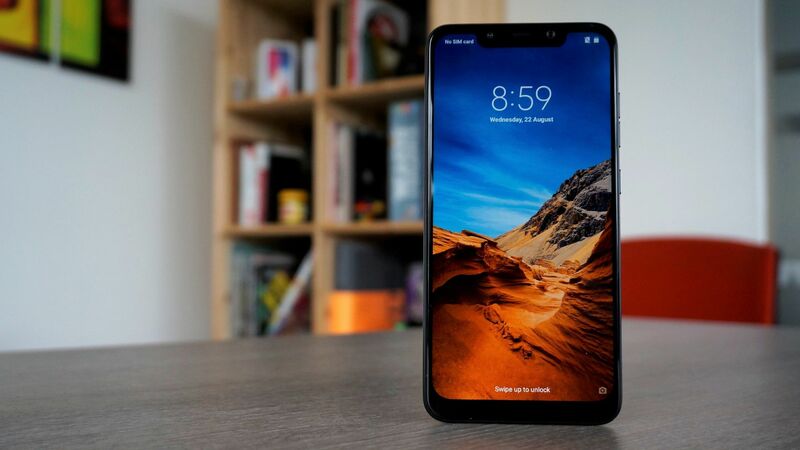 The POCOPHONE F1 price in Nepal is Rs 33,999 for the 6GB RAM variant. The phone, as of right now, is available in two color options- Graphite Black and Steel Blue. As mentioned earlier, the phone is now available for you to pre-book exclusively from Daraz. The phone, however, will be delivered to you only on November 11. Hurry up and pre-book the phone now as there is a limited amount of stock.